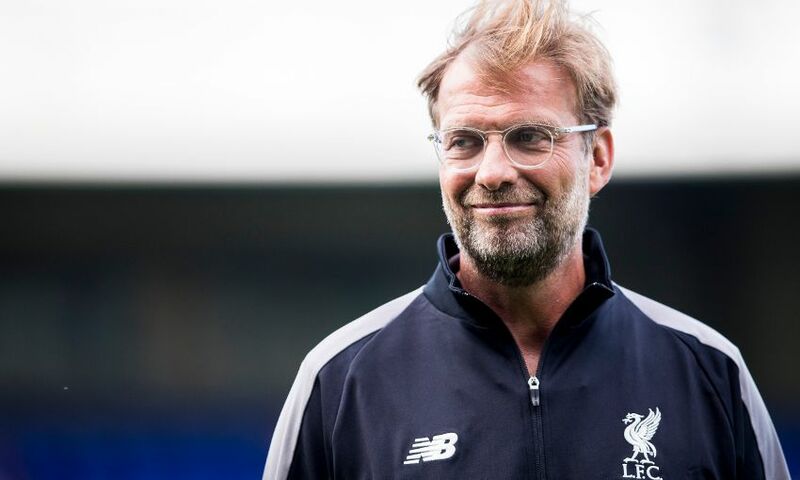 Jürgen Klopp felt he witnessed ‘a lot of good things’ from Liverpool as they recorded their second victory of pre-season with a 3-2 win over Tranmere Rovers at Prenton Park. The Reds raced into a three-goal lead before half-time as Rafa Camacho, Sheyi Ojo and Adam Lallana - wearing the captain’s armband - all struck ahead of the interval. Tranmere reduced the arrears by scoring twice in the final 18 minutes through Jonny Smith and Amadou Soukouna, but Liverpool held onto their lead. 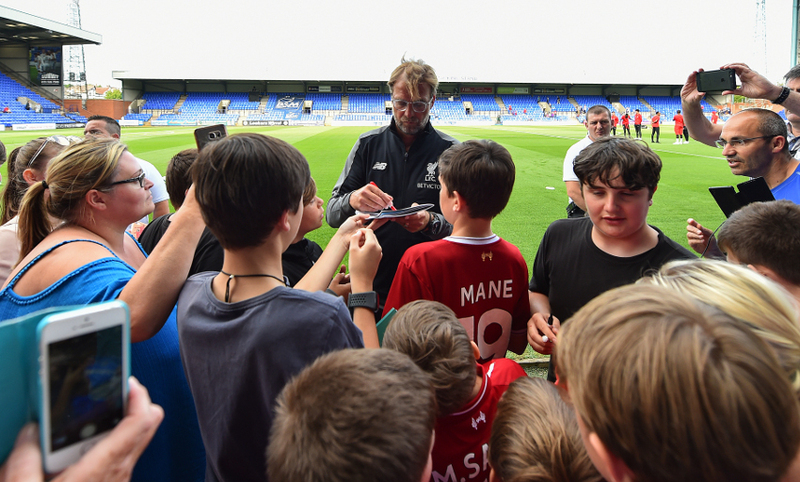 And afterwards, Klopp explained why he was pleased with his side’s night’s work, with another 22 players getting a 45-minute workout in their legs as preparations for 2018-19 continue. A lot of good things; apart from the goals [conceded] everything was pretty much good. I liked the second half as well because although we were not that ruthless maybe, we created a lot and played good football, came in the right spaces, last third not as good as first half but it was pretty good. First half was obviously good. We had more chances to score, but then we conceded the goals, which is not nice. That’s the situation – 3-2, nobody injured and everybody had 45 minutes intensity, that’s what we wanted. Rafa, especially in a position he is not used to playing – although he played there a few times for Stevie [Gerrard] as a wing-back. He played as a proper full-back and had good organisation. He can do that and I like it. He is full of football joy and is doing really well. 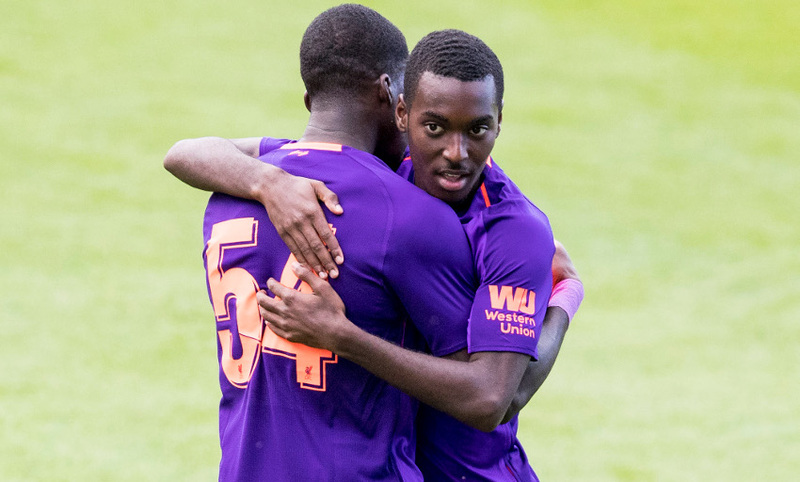 Ojo and Ryan maybe had not the best last year, but they came [back] here and wanted to show something – and they do and their training is good. I am fine. Nobody likes that goal, but if we talk about the second goal – I think it was Millie’s fault together with Chirivella. Two brilliant footballers make this mistake, which one was bigger? I would say the mistake of the two boys, but we don’t talk about it. Loris concedes that goal, but we cannot start a story always after each mistake. Mistakes will happen; I don’t like it, he doesn’t like it, but it will happen, so let’s carry on and make the best of all these situations by learning from them. That’s how it is. How it is for all of them. They have all the quality, you can see that, you saw it four or five days ago that they are all really good football players, but it’s not to show and we have our ideas. The boys, we need them. We play the games, we have the training sessions, they are nice fellas so it’s nice to have them around and then let’s see how it fits at the end. But it’s all about the boys, my door is that wide open so why should I make a decision today? I watch the games, I lead the sessions and then I make a decision at a specific point, but that’s not today and it’s not next week so we have still time. Everybody has a place [here]. I would be really crazy if I would not give these boys a chance - they are fantastic players, they’ve played fantastic games, so we will see what happens. We do actually, that’s why we do it. We do it for the third year in a row I’m sure, but I really think that especially with Chester and Tranmere we have to pay a little bit back because we play in these stadiums all year with our U23s. The pitch here today was really good and it’s around the corner, we have a good relationship. I thought we play now every year the John Achterberg Cup, but nobody liked that idea - I like it, but nobody follows that! It’s really OK. We like these games and Saturday is Bury, which is around the corner as well and that’s good. League by league we come closer to the Premier League. I would really be a little bit too long [talking about] why I like him. He was two years ago, together with maybe Thiago Alcantara of Bayern, for sure the best player in the Bundesliga by far. It was unbelievable how he played and then we wanted to get him in, but Leipzig didn’t think that was the best idea in the world so they kept him. And then last season was good but not as good as the year before, but it was still good. He is young, he is full of football skills, very stable, very good in small spaces, endurance-wise fantastic, quick, good finishes, good runs in the box. So that’s a package that’s really interesting and that’s why we thought we should take him.